Besson is going back to his roots with this new spy thriller that focuses on a new femme fatale that can kill people with a dinner plate. Beneath Anna Poliatova’s striking beauty lies a secret that will unleash her indelible strength and skill to become one of the world’s most feared government assassins. An electrifying thrill ride unfolding with propulsive energy, startling twists and breathtaking action. This is Sasha Luss’ first time to carry a movie – she had a role in Besson’s Valerian, and she’s been modeling for a while. Maybe she’s hoping to follow in Milla Jovovich’s footsteps, who got her big break in another Besson movie – The Fifth Element. She is joined by Helen Mirren, Cillian Murphy, and Luke Evans. 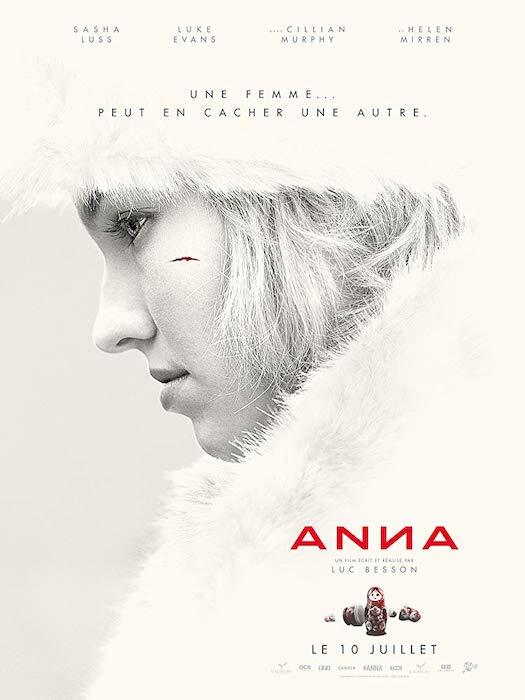 Anna punches its way into theaters June 21.